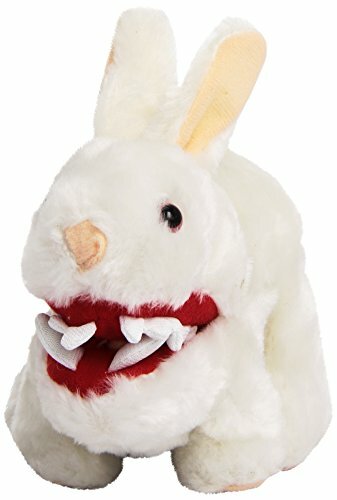 Mini Killer Rabbit with Big Pointy Teeth - Moar Stuff - You don't need it but you know you want it. Gifts for GeeksJokes & Gag GiftsWTF? In miniature size with biting action clip! Deep from within the bowels of the cave comes a cute fluffy rabbit. Little does one know that this rabbit is the most foul, cruel, rodent that you've ever laid eyes on! 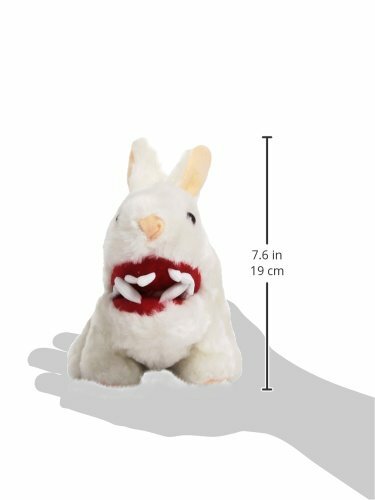 Straight from the the cave of Caerbannog, this Mini Killer Rabbit with Big Pointy Teeth (via Amazon) is ready to attack anyone with it’s cute looks and massive appetite for human flesh! It stands 5 inches tall with giant pointy teeth and a mouth covered in blood. It’s smaller than the original prop but, unmistakable to fans of Monty Python. 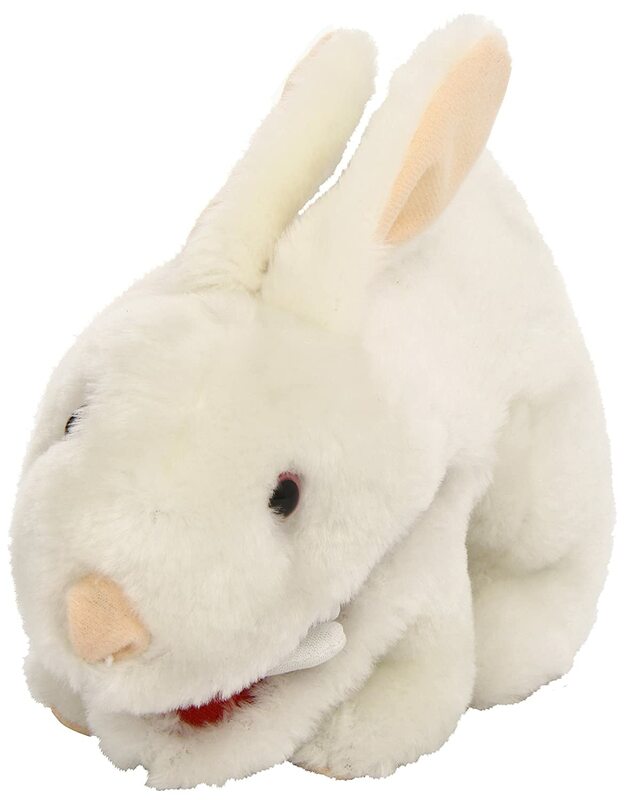 This bunny features spring loaded jaws that let it “bite” its unsuspecting prey. Don't care about the deadly spring-loaded jaws of the mini version? No problem, you can get a full-sized (9 inch) version for just a few dollars more. The white fur is soft and it’s stuffed with a soft material that can be easily compressed. In fact, assuming you’re brave enough to try (and not soil your armor) you could even stuff it into a medium-sized drinking glass. I don’t know why you’d want to, but you could. It’s by far the most foul, cruel, bad-tempered, and cutest little stuffed rodent you ever set eyes on! It would be great to keep in your office or cube. It would also make a great gift for a fellow Monty Python fan as well. Dimensions: 5 x 4 x 5 inches (12.7 x 10.6 x 12.7 cm) . Weight: 2.1 ounces (59.5 g). Always believe Tim the Enchanter when he says it’s dangerous. Look at the bones, man!! !